In a world of seven billion humans, can wild nature continue to exist? The environmental movement has long been dominated by a Western philosophy that sees humans as separate from and detrimental to nature. While great strides have been made in the past few decades, most scientists agree that conservation efforts are not keeping up with the vast scale of planetary change. Dr. M. Sanjayan is a conservation scientist, writer, and Emmy-nominated news contributor focused on the role of conservation in improving human wellbeing, wildlife, and the environment. His distinguished scientific work has been published in the journals Science, Nature and Conservation Biology. 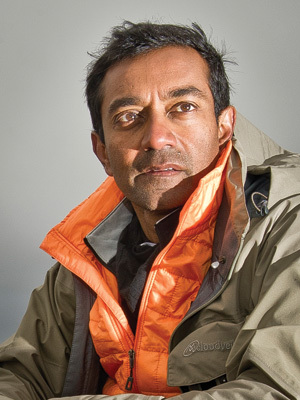 The National Geographic Society recently selected Sanjayan for its Explorers Council, a group of leading scientists, researchers, and explorers who advise and counsel the Society across disciplines and projects. Sanjayan is also a Catto Fellow at the Aspen Institute and a senior advisor to the Clinton Global Initiative.